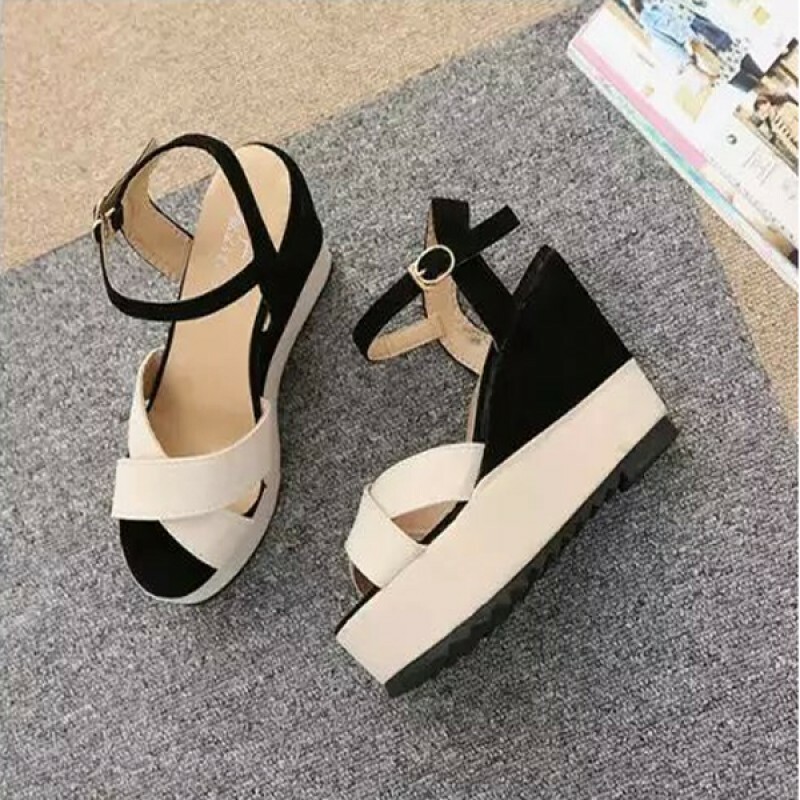 Such a great combination of BLACK and CREAM colors this beautiful wedge sandal is specifically made for wedge loving girls. Its upper material is fabric. 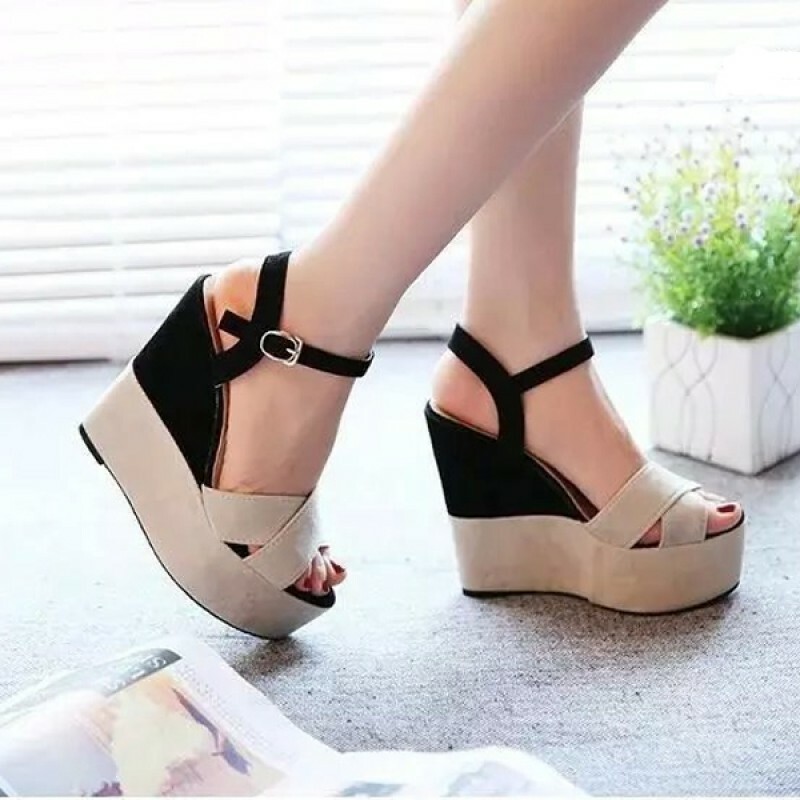 Closing is buckle and sole is made with rubber (TPR). 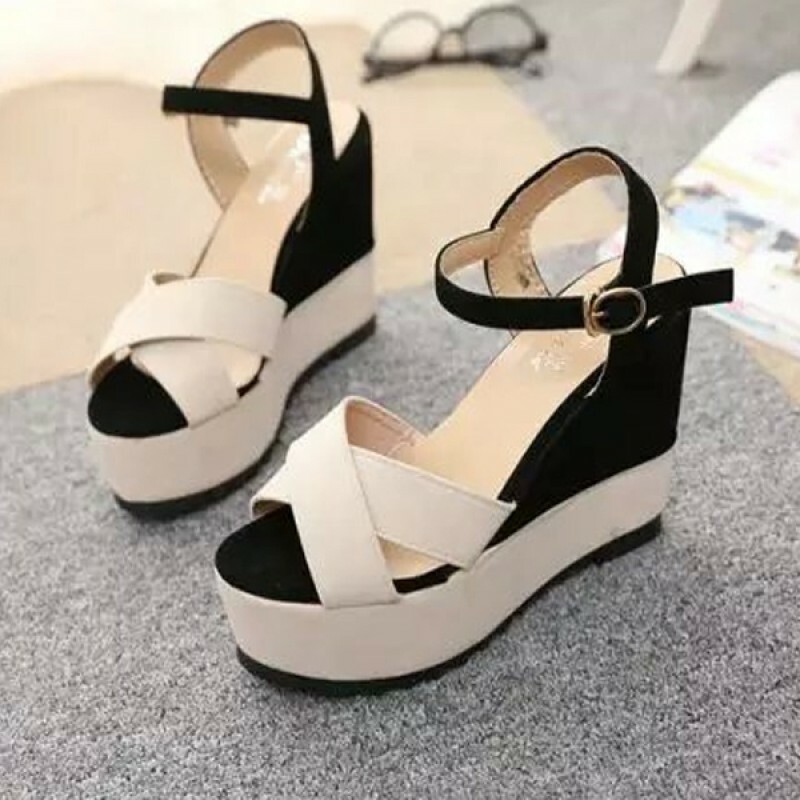 Belt style double buckle with pure WHITE color upper side made with PU leather and BLACK color sole ..